I’m working on listening to my heart. Trusting my inner guidance has been an ongoing process. One morning last August, I prayed to be shown how to listen and act on what I know to be true. I have trouble paying heed to the small voice attempting to guide me. It’s hard to hear it over the clatter in my brain, trying to figure everything out. Later that day, I took our dog, Quigley, outside with me to check the mail. As we walked toward the mailbox, he darted to the side of the house. He frantically began searching for something in the bushes. As I rushed over, my instincts screamed to get him out of there. Then the thought hit me. My husband, Bob, would say to leave Quigley alone because he was after the vole that had been eating the roots of our plants. What did I do? Against my higher judgement, I stood by and watched. I could hear the critter rustling and then came a loud hiss. Quigley sprang back. To my horror I saw a yellow glob of goo oozing down the top of head, into his eye. I didn’t know what to make of it until an acrid smell hit my nostrils. Quigley had been sprayed by a skunk! 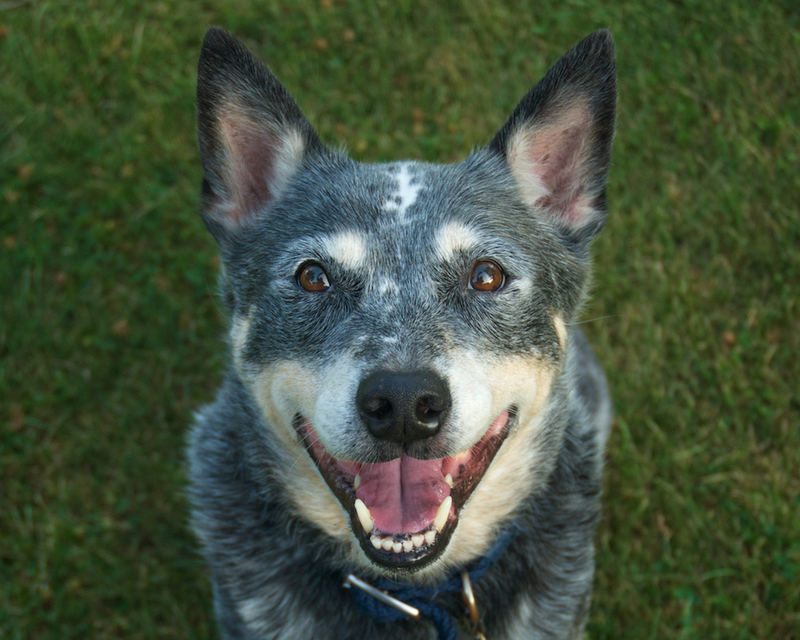 Quigley is an Australian Blue Heeler that we rescued. Removing the stench off of him was quite a process. After bathing him daily for a week, he still had to be confined to the basement. It was a whole month before the unmistakable smell was completely gone. If I had only listened to what my intuition told me, I wouldn’t have had to deal with the foul odor that relentlessly clung to my dog. If earth is a school, the class I must be taking is Trust Your Gut 101. Our inner guidance is an illuminated lantern to help us from stumbling on our path. I’ve heard it said that the universe talks to us first in a whisper and then gets louder and louder until we get the message. The way that whisper was amped up on that morning last summer makes me laugh. It’s nice to know God has a sense of humor. 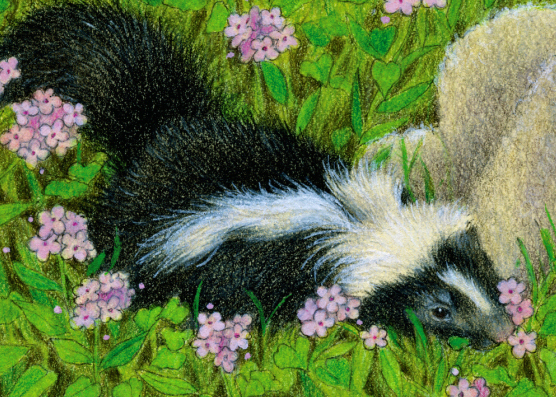 There is nothing like the smell of skunk to drive home a point. Funny that such a benign looking little creature can cause such havoc. On May 2, 2014 Jacqui and Dan Saldana lost their three-year-old son, Ryan. Although I never met him, a piece of my heart broke off when he died. I learned about Ryan, while he still graced the planet, from my niece Molly. For a time, she worked with his mother at the Madewell store in Santa Monica, California. I began reading Jacqui’s blog, Baby Boy Bakery and following her on Instagram where she shared recipes and the adventures of being Ryan’s mom. His adorableness, wrapped in red curls, was irresistible. Last May, Ryan was struck and killed by a truck while playing outside of his cousin’s home in Alta Loma. An unfathomable loss that no parent should ever have to face. Ryan’s death sparked a social media outpouring of love and support for his family. 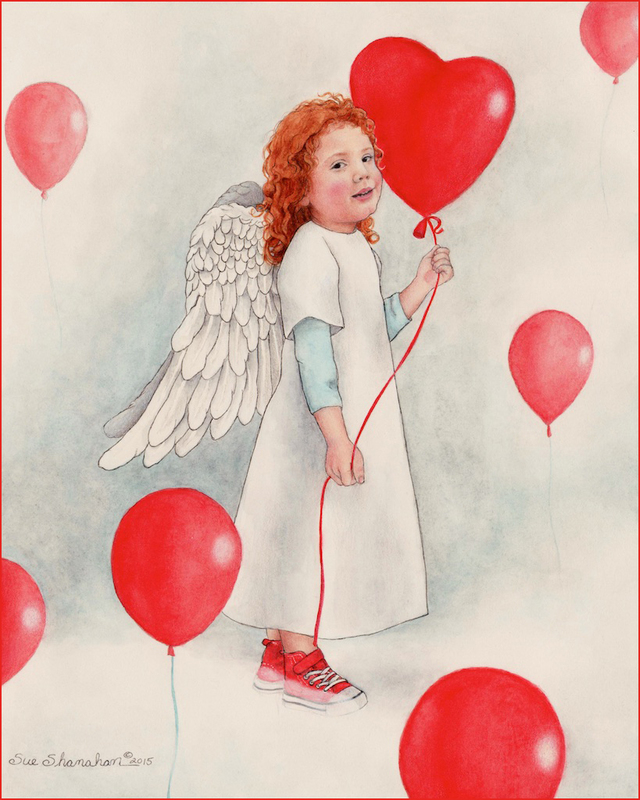 The well wishes were posted with the hashtag #RedBalloonsForRyan, which was begun by family friends. Red balloons were chosen as a symbol for Ryan because he loved red and balloons. His parents planned to release them heavenward during their little boy’s funeral service. After seeing Jacqui on The Ellen Show, I felt inspired to send her love in a tangible way. What if I did a watercolor of Ryan as a gift for his parents? But as hard as I tried, I couldn’t get in touch with them. Still I felt called to do it. The whisperings of Ryan urged me on. Why not paint his portrait anyway? I could have it published with an essay about the anniversary of his death. I knew somehow it would get to Jacqui and Dan. When a parent loses a child, their greatest fear is that the world will move on and forget about their son or daughter. I wanted to make sure they knew that wasn’t going to happen to Ryan Cruz Saldana. So today, you are seeing and reading my remembrance of Jacqui and Dan’s little angel. Believe me when I say I didn’t create this alone. I can feel your love. I smile when you smile. Balloons are love notes from me. I will be your “little man” forever. Remember, I have what you always wanted for me.